A 32-year-old man is to stand trial accused of killing two pensioners who lived in the same block of flats in Oban. Oskars Rancevs is charged with murdering 73-year-old Martyn Smith by repeatedly punching, kicking and stamping on him. 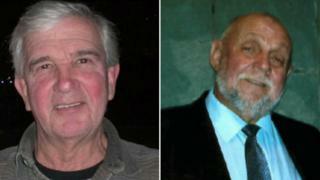 He also faces a culpable homicide charge over the death of Mr Smyth's 75-year-old neighbour John White. Mr Rancevs pled not guilty during a hearing at the High Court in Glasgow. Mr White is said to have witnessed the first attack on 1 October last year. Prosecutors claim Mr Rancevs attacked Mr White while he tried to call the police. The indictment claims Mr White was left in a "state of fear and alarm" and, as a result, suffered a fatal heart attack. Mr Rancevs also faces charges of threatening and abusive behaviour, as well as obstructing police. Lord Arthurson fixed a trial due to begin in July.